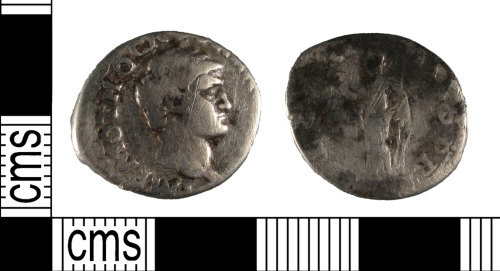 A silver Roman denarius of Otho dating to AD 69 (Reece period 3). SECVRITAS PR reverse type depicting Securitas standing left holding a wreath and sceptre. Reverse description: Securitas standing right. Right hand holding wreath left sceptre.